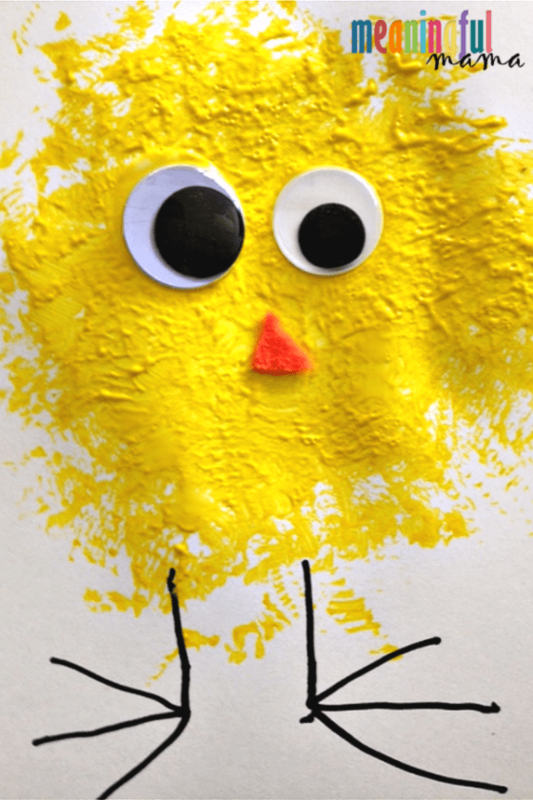 This easy spring chick craft for kids is a a simple, last-minute Easter activities for kids of all ages. 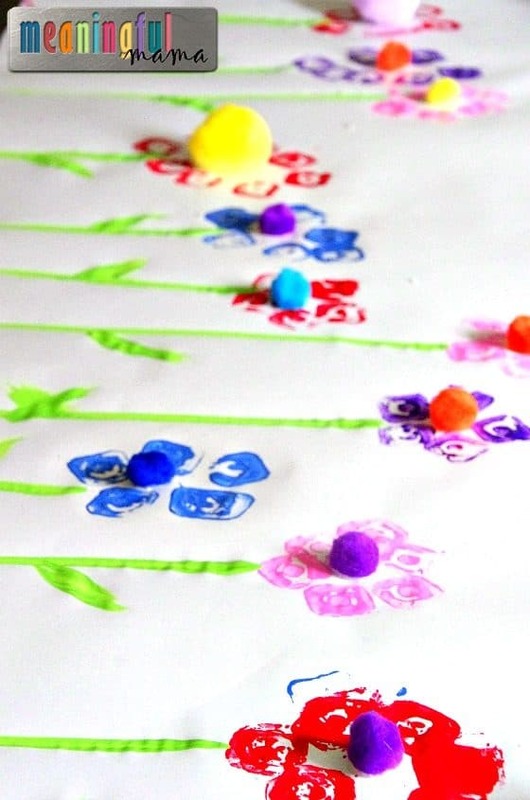 It’s the perfect spring craft for toddlers, preschoolers and kindergarteners. 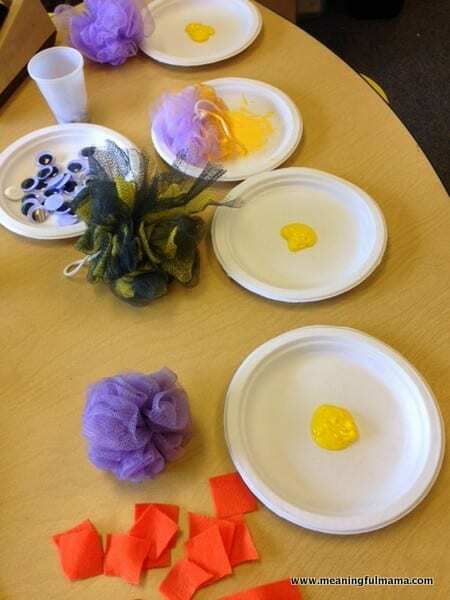 With little assistance and a few inexpensive supplies that you might even have on hand, your kids can create their own loofah painted chicks. Want more spring ideas? Check out these cute egg carton flowers. This is a fun, inexpensive and easy craft I came up with at the last minute. I’ll tell you more about that story later. Draw their chick legs with a Sharpie toward the bottom center of page. We end up with tall chicks and short chicks. 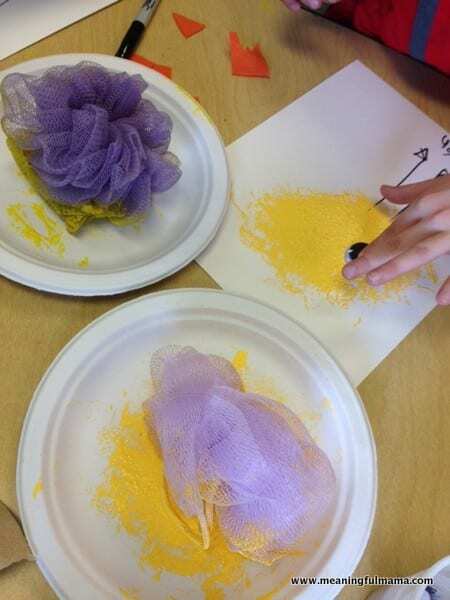 Next, dip the loofah in yellow paint and encourage kids to tap the paint onto the paper. I always use a paper plate as a paint pallet. It is disposable and keeps things contained well. We had skinny chicks and chubby chicks. Cut the felt or foam into small triangles for the beak. Use white glue to adhere both the google eyes and orange felt or foam, cut into a triangle for the beak. 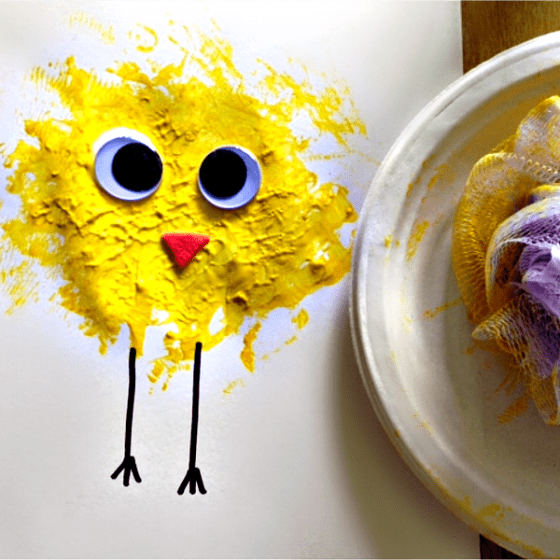 It is kind of a funny story how this easy spring chick craft for kids came to be in our lives. I work in my daughter’s class every Monday afternoon. 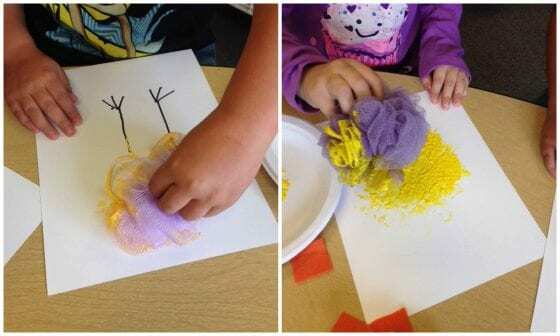 I had told the teacher a while back that I would do a spring craft with the kids. I’m a teacher by trade, and she had invited me to do some lessons with the kids. One Monday she was sick. The next Monday Abby (my oldest) was sick. Then, there was spring break. Suddenly the next Monday arrived, and I was out of the groove. Not only did I forget I was doing a craft, but I forgot that I was going into classroom at all. Let’s just blame it on mom brain. I was weeding outside in the yard at 12:45, when I had a reminder on my phone that alerted me. I jumped up, told the little kids to pick up all the outdoor play things, ran into the house, changed clothes, and I started to do my make-up. My brain was swirling through things I’ve done in the past. Do I have the materials? Can I gather enough quickly for the whole class? No. The gears start turning, and this craft was birthed. I gathered all the materials and successfully had a lesson for the kids. After dropping the little kids off at grandma’s house, I was 5 minutes late to Abby’s class. I had 4 chick making stations in the back of the classroom. Part of my instruction was for the 1st graders to use their imaginations to develop a personality for their chick. What was their chick’s name? What did it like? Dislike? What did it do all day? Is there a story they could develop about their chick? Kids worked on their stories while we called four up at a time to create on their craft. Not bad for a last second…quite literally…idea. 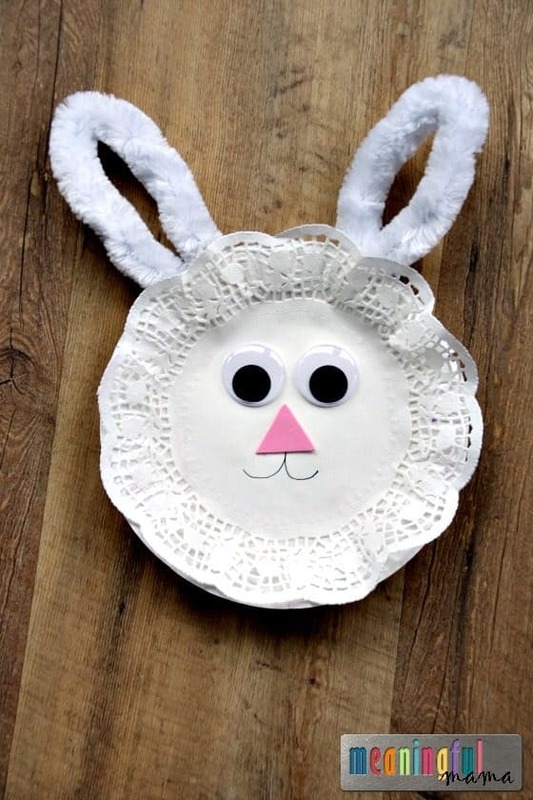 It has become my last-minute Easter craft for you too. It’s easy. It uses materials you might have on hand. It is inexpensive. It is fast. It can be done with a lot of kids. Perfect. 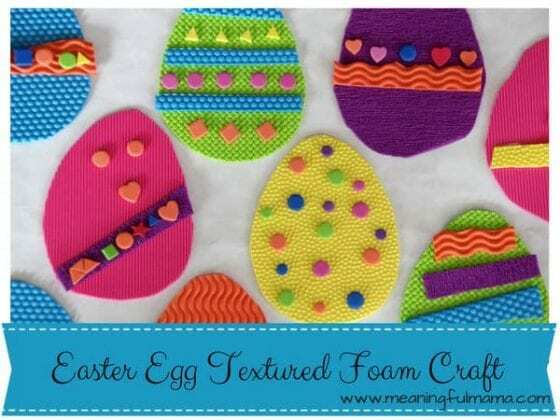 Want More Spring Craft Ideas? Note: This post was originally written in 2014, but it was updated and republished in 2019. Thanks so much. She hung them in the classroom window and ended up reading the story about Chicken Little with their fairytale unit. It all really worked out. Thanks so much for commenting!